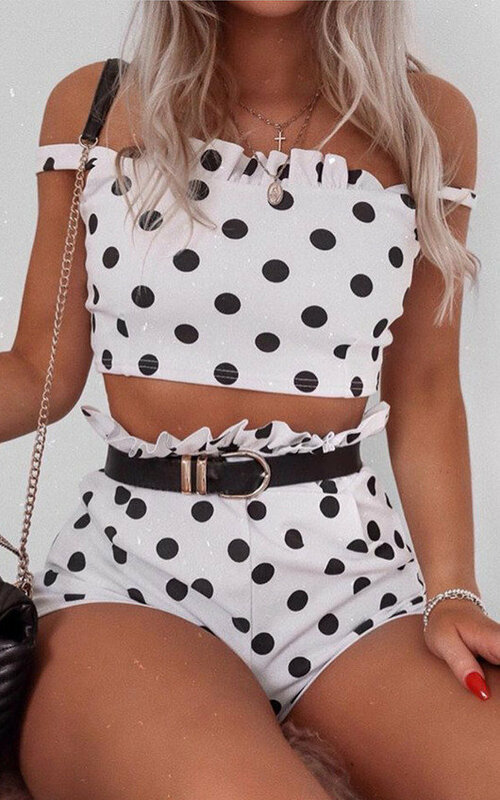 DOT to DOT - our Darcy shorts Co Ord is bang on trend for this season. 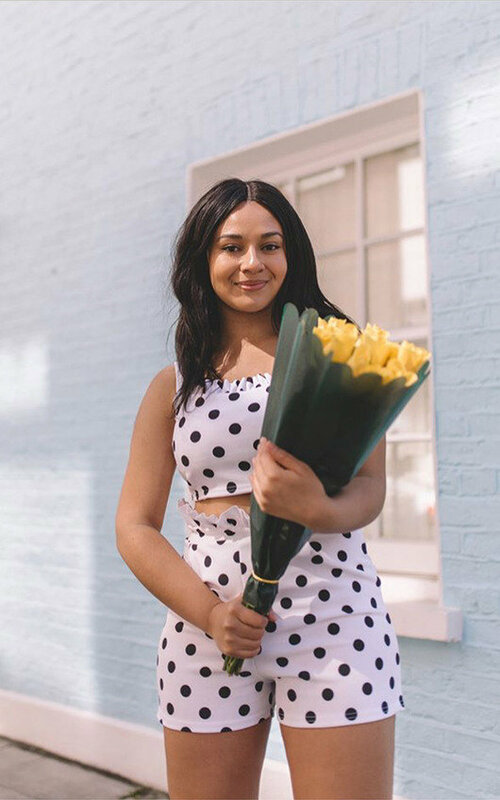 Featuring high waisted shorts with a frilled waistline , frilled neckline on the crop top , this is polka dot dreams. Underarm to hemline of top is approx. 7"
Length of shorts is approx 15"